Many women and health experts continue to struggle with the turnaround in attitude toward hormone therapy in the wake of the Women's Health Initiative (WHI) trial of combined estrogen and progestin (as Prempro) for preventing later-life ills. The trial was stopped early, in 2002, because hormone users had a higher risk of breast cancer, heart disease, stroke, and blood clots. Though the added risks were small, many women and their clinicians concluded they must discontinue hormone therapy. Many of these women found that hot flashes, sleeplessness, and other menopausal symptoms returned with a vengeance. Hormone therapy is still considered the most effective treatment for symptoms. But women are not rushing back. One concern of health experts is that women are turning to alternatives they think are safer — but may not be. Even before the WHI results came in, many women were looking for something different to relieve hot flashes, night sweats, and vaginal dryness. Some women disliked the side effects of hormone therapy, such as breast tenderness or bleeding. Others worried about estrogen's link with breast cancer. Still others were opposed to taking drugs for symptoms because doing so implies that menopause is a disease rather than a normal life passage. Some women objected to the use of pregnant mares' urine — the source of estrogen in oral conjugated equine estrogens (Premarin), the only estrogen tested in the WHI trial. Many women assume that "natural" hormones would be better or safer — but the term "natural" is open to interpretation. Any product whose principal ingredient has an animal, plant, or mineral source is technically natural. It doesn't matter whether the substance is ground, put into capsules, and sold over the counter — or extracted in a laboratory, manufactured by a pharmaceutical company, and made available only by prescription. For example, the soy plant is the source of supplements that some women take to ease menopausal symptoms; it's also used, along with yams, to make the estrogen in the FDA-approved hormone drug Estrace. But unlike Estrace, soy supplements aren't regulated and haven't been rigorously tested in humans, so we don't know whether they're safe or effective. There's some evidence that certain soy components may actually stimulate breast tumor growth. So "natural" doesn't necessarily equal "safe" — and may simply be a euphemism for "unregulated." The interest in a more natural approach to hormone therapy has focused attention on bioidentical hormones — hormones that are identical in molecular structure to the hormones women make in their bodies. They're not found in this form in nature but are made, or synthesized, from a plant chemical extracted from yams and soy. Bioidentical estrogens are 17 beta-estradiol, estrone, and estriol. (Estradiol is the form of estrogen that decreases at menopause.) Bioidentical progesterone is simply progesterone. It's micronized (finely ground) in the laboratory for better absorption in the body. Bioidentical hormone therapy is often called "natural hormone therapy" because bioidentical hormones act in the body just like the hormones we produce. But here again, that tricky word natural muddies the waters. Pregnant mares' urine is natural, but Premarin is not bioidentical, at least not to human estrogen. The same goes for Cenestin, which is made from plants but is not bioidentical. Technically, the body can't distinguish bioidentical hormones from the ones your ovaries produce. On a blood test, your total estradiol reflects the bioidentical estradiol you've taken as well as the estradiol your body makes. On the other hand, Premarin is metabolized into various forms of estrogen that aren't measured by standard laboratory tests. Proponents of bioidentical hormones say that one advantage of bioidentical estrogen over Premarin is that estrogen levels can be monitored more precisely and treatment individualized accordingly. 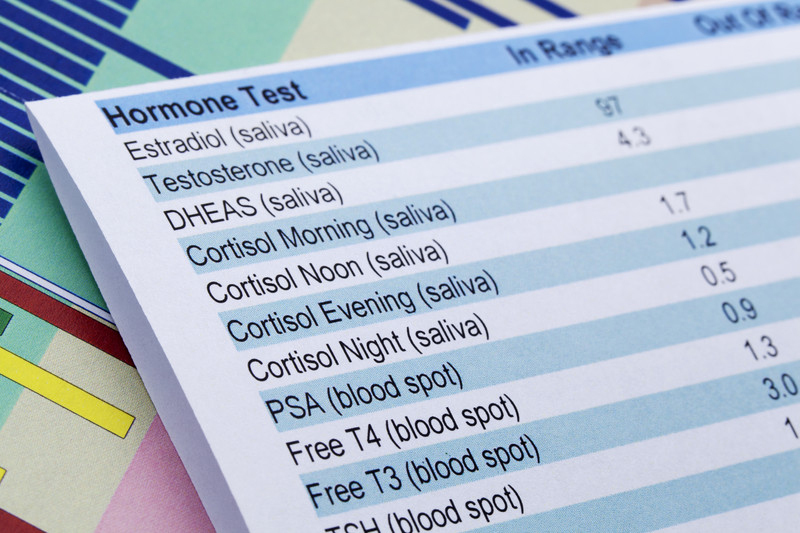 Skeptics counter that it hardly matters, because no one knows exactly what hormone levels to aim for, and symptoms, not levels, should be treated and monitored. How do I find bioidentical hormones? Bioidentical estrogens and micronized progesterone are made into a range of products, many of which are FDA-approved and available with a prescription at your local drugstore (see chart, "FDA-approved hormones for menopausal symptoms"). Commercially available bioidentical estradiol comes in several forms, including pill, patch, cream, and various vaginal preparations. Micronized progesterone comes in a capsule or as a vaginal gel. *Particles are made smaller for better absorption. **Bioidentical estradiol until ingested and converted in the liver to estrone. ++The estradiol is bioidentical but not the progestin. Bioidentical estradiol in pill form is converted in the liver to estrone, a weaker bioidentical estrogen. But given in a patch, it enters the bloodstream as bioidentical estradiol. Creams, gels, and lotions applied to the legs or arms can also deliver bioidentical estradiol directly to the bloodstream, although it's uncertain how much is absorbed. Are bioidenticals safer? No one knows. Studies have shown they can help relieve hot flashes and vaginal dryness, but as yet, few large studies have investigated the differences among the various hormones and methods of administration. More research is needed to further understand these differences and compare the risks and benefits. Women taking bioidentical estrogen who have a uterus must still take an FDA-approved progestin or micronized progesterone to prevent endometrial cancer. So-called natural, plant-derived progesterone creams sold over the counter contain too little of the hormone to be effective. And yam extract creams don't help because your body cannot convert them into progesterone. Much of the confusion about bioidentical hormones comes from the mistaken notion that they must be custom-mixed at a compounding pharmacy. But custom compounding is necessary only when a clinician wants to prescribe hormones in combinations, doses, or preparations (such as lozenges or suppositories) not routinely available — or to order hormones not approved for women, such as testosterone and DHEA. Compounding pharmacies use some of the same ingredients that are made into FDA-approved products, but their products are not FDA-approved or regulated. Compounded drugs are mixed to order, so there are no tests of their safety, effectiveness, or dosing consistency. There is no proof that compounded hormones have fewer side effects or are more effective than FDA-approved hormone preparations. Some clinicians who prescribe compounded hormones order saliva tests to monitor hormone levels. Most experts say these tests are of little use because there's no evidence that hormone levels in saliva correlate with response to treatment in postmenopausal women. There is no scientific evidence that the compounded preparations Biest and Triest, which are largely estriol, are safer or more effective than other bioidentical and FDA-approved formulations. Some proponents claim that estriol decreases breast cancer risk and doesn't increase endometrial cancer risk. Both claims are unproven. Heath insurers don't always cover compounded drugs. This doesn't mean that you shouldn't consider compounded hormones. Just realize that, in a real sense, you're going to be an experiment of one. Unless your clinician has considerable experience with bioidentical hormones and a particular compounding pharmacy, you're better off with a prescription for commercially available hormones, many of which are bioidentical. Since the end of the WHI's trial of Prempro, the FDA has recommended using hormone therapy only in low doses for a short time for severe menopausal symptoms. Yet experts don't really know how the WHI results apply to other compounds. This leaves women and their clinicians with a number of questions. In the combined hormone trial, the WHI tested only one estrogen (Premarin) and one progestin (Provera), in a single pill (Prempro), at a single dose (0.625 mg Premarin and 2.5 mg Provera). Would a different estrogen or progesterone have fewer side effects? Would lower doses or a different mode of delivery, such as a transdermal (skin) patch or skin cream, be safer? Different forms of hormones are recognized differently by cells, so it makes sense that their effects might also be different. For example, one study found that among women taking estrogen-only therapy, those who took conjugated equine estrogens (Premarin) had a 78% higher risk for blood clots than users of esterified estrogen (Menest). Also, the progestin medroxyprogesterone acetate (Provera) interferes more with estrogen's good effects on cholesterol than micronized progesterone (Prometrium) does. The delivery method also is important. When estrogen is taken as a pill, it's first processed through the liver. This stimulates proteins associated with heart disease and stroke, such as C-reactive protein, activated protein C, and clotting factors. When delivered by transdermal patch, estrogen isn't first processed by the liver and — at the same level of blood concentration — doesn't have these effects. The risk of any hormonal product depends on more than how the hormone is made. That's why it's important to work closely with a clinician to decide what's right for you. If your symptoms are bothersome, discuss your options with a physician or other specialist in menopausal health. To learn more about menopause and bioidentical hormones, visit the Web sites of the Association of Women for the Advancement of Research and Education Project (Project Aware), www.project-aware.org, and the National Women's Health Information Center, www.4women.org. The effect is small and short-lived, but anger can trigger a heart attack, stroke, or risky heart rhythm. Defuse anger by stepping back and taking some deep breaths to help yourself calm down.